I re-watched TLJ recently and Kylo is telling a partial lie I think about Rey’s parentage . He looks directly at her when he talks to her - EXCEPT he looks to the right when he tells her that her parents sold her off for drinking money . ( Adam driver would have known this as an actor regarding body language as looking to the right is meant to signify when someone is lying ).He doesn’t do this in the rest of what he told her just selling her off for drinking money . This changes things I think . I think it’s possible Rey was kidnapped. @AhsokaTano wrote: I re-watched TLJ recently and Kylo is telling a partial lie I think about Rey’s parentage . He looks directly at her when he talks to her - EXCEPT he looks to the right when he tells her that her parents sold her off for drinking money . ( Adam driver would have known this as an actor regarding body language as looking to the right is meant to signify when someone is lying ).He doesn’t do this in the rest of what he told her just selling her off for drinking money . This changes things I think . I think it’s possible Rey was kidnapped. I am still in the camp he wasn't lying just re-iterating what Rey BELIEVED to be true. I think as a kid, things and concepts and events can be distorted, so this might be the only information that Rey was working with for the time being. I don't think Kylo was lying. However, if we see the ship in the trailer it is landing/arriving on space Disneyland/Batuu/Switzerland and in Rey's vision, she sees that ship is leaving Jakku. That is enough of a hint that Rey or her "parents" were not originally from Jakku. In the novelization for TLJ Rey is disappointed that her parents were not hard working space merchants. That is her delusion/fantasy that pops when Kylo uncovers the "truth" Rey has hidden from herself. I like the idea that Kylo grabbed Rey’s secret out of her head...though I’ve always believed there was more to it and that Kylo was lying/improvising. As, @AhsokaTano said, it’s Adam’s acting skills that seem to give it away. I’m thinking it’s a combination of both lying and using Rey’s hidden doubts/false memories. He knows, on some level, her true origin, but used her insecurities to deceive her. I think RJ even said it, that Kylo does respect/admire Rey but he lacks the ability to treat someone as an equal. He tries to obtain her as an ally by deceiving her. In many ways he’s gaslighting. Just like Snoke manipulated him. I trust your opinions. I will have to go watch the scene again. Sooo, I am totally intrigued with the final season Clone Wars now. Especially, the last few seconds of the trailer. It’s obvious that Maul is baiting Kenobi, again, and is sorely disappointed to see Ahsoka. So who is he baiting Kenobi with? Remember, during the episode, Lawless, Korkie was knocked out cold. What if he was held prisoner? What if, Maul finds out who he his? 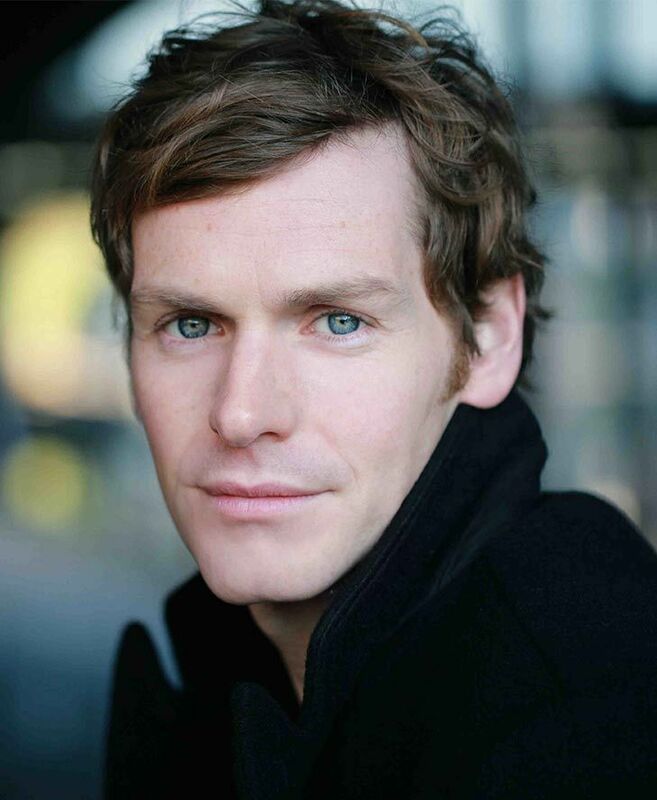 His”true” parentage! In the original Clone Wars teaser from last year’s SD Comic Con, when Kenobi approaches the holo of Ahsoka and Bo-Katan with what can only be described as a look of trepidation and “Oh, f****! This is bad!” He knows something is off about the situation. Why else would Bo-Katan be looking for Ahsoka throughout the new trailer? She knows Ahsoka knows Korkie and potentially has heard rumors that she is no longer a Jedi. She needs help finding Korkie without exposing Kenobi’s secret and potentially threatening his position within the Jedi. @TheBastardofMandalore wrote: Sooo, I am totally intrigued with the final season Clone Wars now. Especially, the last few seconds of the trailer. It’s obvious that Maul is baiting Kenobi, again, and is sorely disappointed to see Ahsoka. So who is he baiting Kenobi with? Remember, during the episode, Lawless, Korkie was knocked out cold. What if he was held prisoner? What if, Maul finds out who he his? His”true” parentage! In the original Clone Wars teaser from last year’s SD Comic Con, when Kenobi approaches the holo of Ahsoka and Bo-Katan with what can only be described as a look of trepidation and “Oh, f****! This is bad!” He knows something is off about the situation. Why else would Bo-Katan be looking for Ahsoka throughout the new trailer? She knows Ahsoka knows Korkie and potentially has heard rumors that she is no longer a Jedi. She needs help finding Korkie without exposing Kenobi’s position within the Jedi. I watched the TCW panel and the trailer for the new season, it looks great! I like your scenario. Filoni says Bo will be really important can't wait to find out. The Mandalorian panel/trailer was off the hook so excited for this show whether or not there is a tie into Rey or Rey Kenobi. However, Emergency Awesome says the product that Greef has The Mando pick up (for a bounty) is a little girl. So color me intrigued. Apologies for not poking my head in here for a long time. I've been very busy and a lot of bad crap has gone down in my life over the past year. After seeing the following trailer (watch the TOP VIDEO), there is one mother of a Rey Kenobi hint. So Sir Alec Guinness says "past present and future" it cuts to EWAN and then then REY doing the exact same saber move and of course it cuts to HIM, the old Kenobi. It gives me some hope still lol. The Obi from the past, present and possible future? I have a feeling that Rey Random was indeed a red herring, I also think even the teaser trailer is trying to draw attention away from Rey and her role and instead on to Kylo Redemption (which I'm also looking forward to). 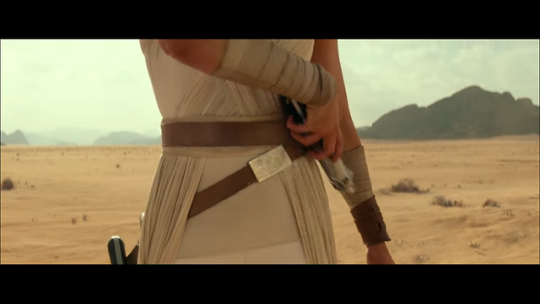 The editing of the trailer does suggest she is a Legend, its the only real hint we get of Rey holding any significance. Rey Random "reveal" happened in the middle of the story not the end and was revealed by the villain, so its questionable. I still sense Rey Kenobi may be the end game for her character here. Daisy Ridley: "Yes [there's surprises about Rey's story in Star Wars: The Rise of Skywalker]." "(smiles) I can't tell you [what the surprises are]. But that was a spoiler 'cause I've not said yes before. Yes, there are some surprises and then it sort of all makes sense." Daisy Ridley: "[Star Wars: The Rise of Skywalker] is a definite end. It really feels like, I think the whole film is still an exploration and everything, and I think...I keep using the word 'satisfying'...it's a satisfying emotional end." " Qui-Gon’s obsession with the ancient prophecies of the Jedi mystics to Obi-Wan’s views on flying and his wreckless, yet wise, nature as a student, Gray checks off all the prequel story boxes without ever feeling like she’s checking off boxes. She even sets the precedent for something Obi-Wan does in Revenge of the Sith that actually turned what I always thought was just a cool action scene in the movie into something more, highlighting Obi-Wan’s unique connection to the living Force. There is a moment in The Phantom Menace when Qui-Gon tells Obi-Wan that he was a wiser man than he was, and after reading this book, I know that the Jedi master was not just tickling his Padawan’s ears. He really meant what he said. Despite their differences and Obi-Wan’s irritatingly orthodox mentality, Qui-Gon witnesses so much potential in the boy. Realizing that, regardless of his penchant to remain inside the box of traditional Jedi thinking, Obi-Wan was indeed wise beyond his years and perhaps had a more intense connection to the living Force than Qui-Gon, who was a devout student of that aspect of the Force, did himself." Obi-Wan is the ultimate rule-follower, a lover of codes and guidelines. He's not even content with the rules that already exist — in more than one instance, Obi-Wan finds himself wishing that there were even more rules. It seems that Obi-Wan was very idealistic in his youth. He wants I prove himself. Plus it’s easy to uphold ideals when you’re surrounded by like minded people (aka the Jedi). But, as Anakin said in The Voyage of Temptation, after Obi-Wan describes his year on the run with Satine, “Sounds romantic!”. In essence, put two young idealistic 20 something’s in a precarious situation and leave them alone for large amounts of time, tensions will break, sparks will fly and ideals will bend. I just purchased Claudia Gray’s “Master and Apprentice”. I’m curious and excited to see if there are any Easter Eggs or incites regarding Obi-Wan and future SW storylines. Thanks @spacebaby45678! Your posts gave me that final push/incentive to buy it. I’m so intrigued now. Was Obi-wan following the rules when he hooked up with Satine? I really don't see Obi-wan that way. In his parental role as Anakin's master, he certainly harped on the rules to Anakin all the time. But that doesn't mean he actually lived that way himself. Is it a Jedi rule to drink at a bar? 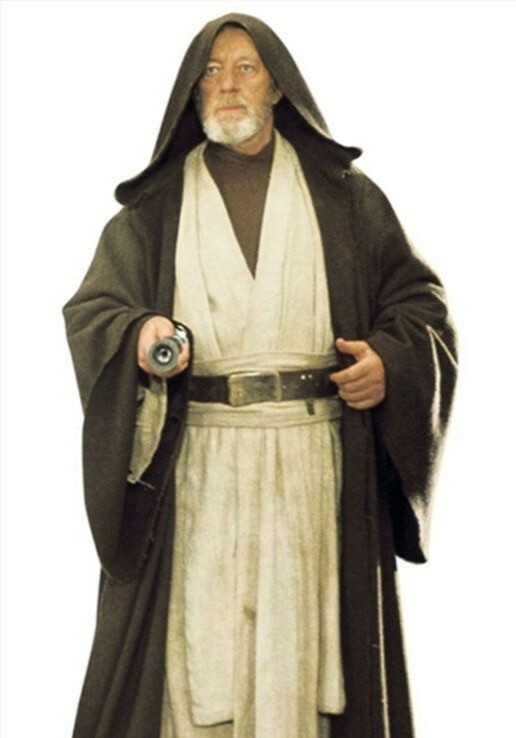 It's pretty clear to me that there's a whole side to Obi-wan that few people know about. "Obi Wan wishes there where more "rules"
Rule is just another word for Rey which means to Rule/King... bawawah!!! I found this article on Twitter this morning. It’s a cool interview with JJ regarding Rey’s parentage. @TheBastardofMandalore wrote: I found this article on Twitter this morning. It’s a cool interview with JJ regarding Rey’s parentage. omg, please do give us all the REAL spoilers in M & A, most people are probably not looking out for Rey Kenobi hints. There’s also a young princess that is being guarded by a Jedi appointed regent until she comes of age. Hmmm!? Very Korkie and Bo-Katan isn’t it? Thank you!! OK, yes, the whole royal court and regent thing set my alarm bells off. I thought the first prophecy was about Leia and Ben also, but everyone wants to make this prophecy about Rey for some reason. Is the righteous that loses light Luke? To lend more credence to the parallels this is Claudia Gray's fancasting for the young princess, she is a girl Korkie bawawah! Either it’s Luke or the Knights of Ren/Ben (Luke’s fallen Padawans) or a combination of both. Who knows what trouble they got into after they all fled the temple. What if Ben/KoR found the ruins of the Death Star? What if they found relics possessed by Palpatine and inadvertently released his essence? My wild theory is that Palpy created an darkside energetic protective egg when Darth threw him down the shaft, and palpy was able to reach out baby Ben telepathically in the womb, and maybe even posses Snoke. Okay, so random theory for the evening. The end credits of tonight’s episode of GoT had a beautifully haunting song. The song is called “Jenny of Oldstones” by Florence + The Machine. It’s about a girl losing herself in a crumbling hall of ghosts/memories. Now, you’re probably asking “What the hell does this have to do with SW?” Please bear with me...The song inspired an idea regarding Rey/Ben and the remains of the Death Star in episode 9. What if Palpatine created another World Between Worlds, or something similar to it, on the Death Star? This would explain the presence of Palpatine (in the trailer) and the rumors of other ghosts in “The Rise of Skywalker”. What if this how Rey finds out about her true identity? Perhaps she almost loses herself to this “hall of ghosts”, just like Ezra Bridger almost lost himself in “A World Between Worlds”. Perhaps this is how Ben redeems himself. By saving Rey from falling to temptation to change her fate. Similar to how Ahsoka saved Ezra from the temptation to change his fate at the end of Rebels season 4 (i.e. His temptation to save Kanan...and bring back his parents). @TheBastardofMandalore wrote: Okay, so random theory for the evening. The end credits of tonight’s episode of GoT had a beautifully haunting song. The song is called “Jenny of Oldstones” by Florence + The Machine. It’s about a girl losing herself in a crumbling hall of ghosts/memories. Now, you’re probably asking “What the hell does this have to do with SW?” Please bear with me...The song inspired an idea regarding Rey/Ben and the remains of the Death Star in episode 9. What if Palpatine created another World Between Worlds, or something similar to it, on the Death Star? This would explain the presence of Palpatine (in the trailer) and the rumors of other ghosts in “The Rise of Skywalker”. What if this how Rey finds out about her true identity? Perhaps she almost loses herself to this “hall of ghosts”, just like Ezra Bridger almost lost himself in “A World Between Worlds”. Perhaps this is how Ben redeems himself. By saving Rey from falling to temptation to change her fate. Similar to how Ahsoka saved Ezra from the temptation to change his fate at the end of Rebels season 4 (i.e. His temptation to save Kanan...and bring back his parents). Palpatine stuck between the world between worlds has to be the most brilliant speculation/potential answer to why Palpatine has returned I have heard yet. 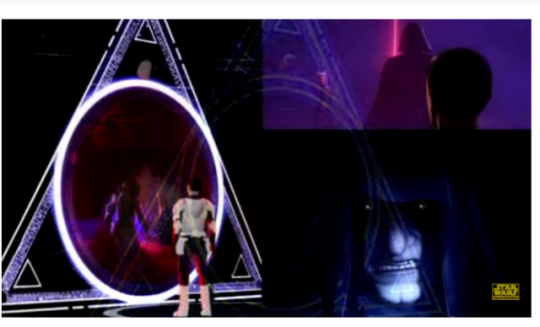 Do you know how the portals for the world between worlds are created? Are they just natural tears in the force? Or maybe Palpatine created a portal inside the Death Star? 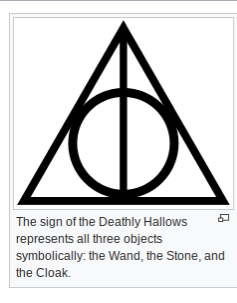 Ok, maybe there is a clue in Harry Potter, the sign of the Deathly Hallows and the portal to the world between worlds is almost identical.. the circle represents the resurrection stone.